1 / 4 — United Vaccines outside view. 2 / 4 — Interstitial space with branch duct connections to terminal HEPA filters. 3 / 4 — Process and water piping to lyophilizer. 4 / 4 — Dry cooler, air cooled chiller, and liquid nitrogen tank. United Vaccines, Inc. is a certified manufacturer of veterinary biologics. They are the only vaccine manufacturer for the fur-bearing animal industry that is licensed to ship product to customers in both North America and Europe. 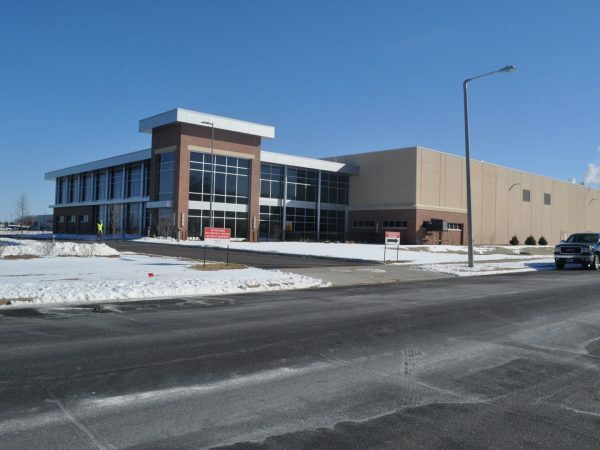 Because of their continued growth and development, United Vaccines needed to expand their manufacturing and production space, so they initiated the construction of a two-story, 57,000 square foot facility on 6 acres. 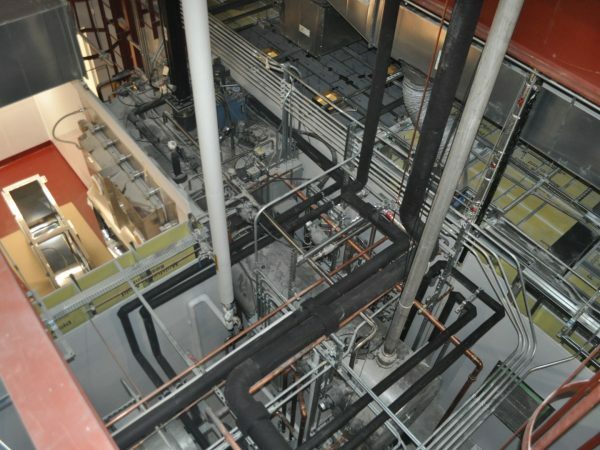 General Heating and Air Conditioning (GHAC), Hooper Plumbing, and Process Piping completed the mechanical system installation to support the pharmaceutical facility while working alongside general contractor, Vogel Bros. Building Co. 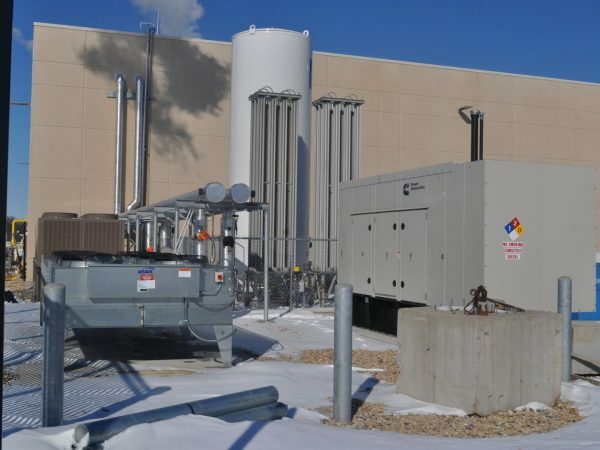 These systems included a clean steam generator and clean steam piping that’s orbitally welded and validated for pharmaceutical use. The clean steam piping provided pharmaceutical grade steam to the owner’s new production equipment. Other systems included an RO water treatment system and associated pure water piping to various labs, as well as liquid nitrogen distribution piping, and compressed gases. 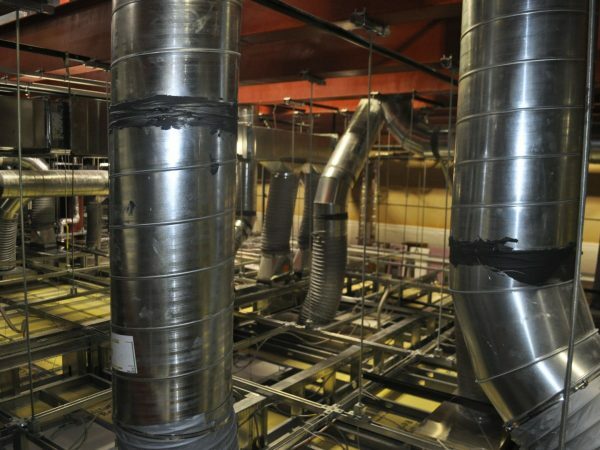 Additionally, GHAC, through the Design Assist process, significantly reduced costs by using a polypropylene (PPR) piping system for some of the non-critical HVAC systems. While the use of PPR systems is not new to GHAC, this was the first time these applications have been used in a pharmaceutical environment. This project also included the challenge of multiple layers of mechanical systems often on interstitial areas with no floor or beam. Tight coordination requirements were overcome by full BIM management including systems that are not traditionally coordinated.